Critical thinking is one of the most creative ways to think about, interpret, and deduce information. 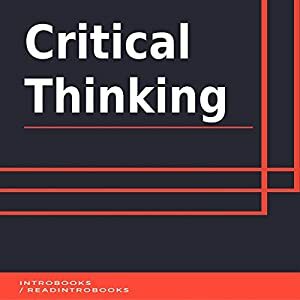 Critical thinking makes sure new, accessible, practical, and, most importantly, innovative solutions backed by reason, logic, and facts to a complicated problem are found. Critical thinkers are needed in every aspect of our lives. They have made our lives easier and have provided us with a lot of comfort, ease, and convenience. The more critical thinkers we have, the more likely it is get the best of innovations, products, services, and polices in the coming future. Critical thinking deals with logic, analyzing, and reasoning. Critical thinkers keep in mind all the possible consequences and make efforts constantly to identify, construct, and evaluate arguments. They help in detecting inconsistencies. They also show involvement in systematic problem solving. This helps in understanding and creatively involving the importance and relevance of ideas. Critical thinking brings out the reflection of the person’s ideas and beliefs.